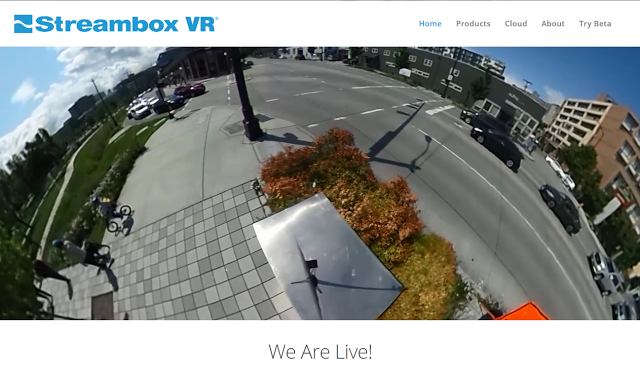 You can now livestream from the Ricoh Theta S in 1080p @ 30fps with Streambox VR‘s cloud-based service. Instead of the Theta’s USB port, Streambox uses the Theta’s HDMI Port. Streambox Cloud will stitch the raw video from the Theta in real time and deliver a video stream to a YouTube 360 Live Event. While you can also livestream from the Ricoh Theta S using the USB-based UVC Blender utility, the UVC Blender is limited to 720p and 15fps (instructions here). By contrast, the Streambox livestream is 1080p (1920 x 1080) at 30 fps. With 360 videos, a higher resolution is important because you’re only viewing a cropped portion of the video at any given time. Streambox also supports 4K and HD video streams over any public/private IP network. You can sign up for the Streambox beta HERE.